I LOVE meatballs. I eat them with a lot of different things...like pasta, salad, rice, veggies, eggs, or by themselves. These are packed with so many bold ingredients. 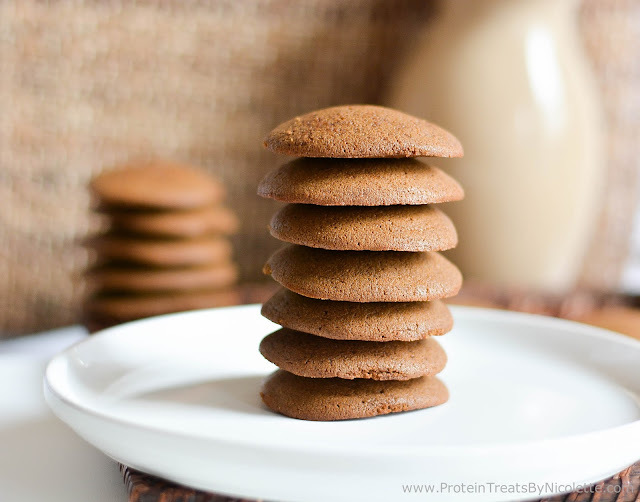 Even so, they aren't overpowering and have a great balance of textures and flavors. Feta and Italian seasoning go so well together. 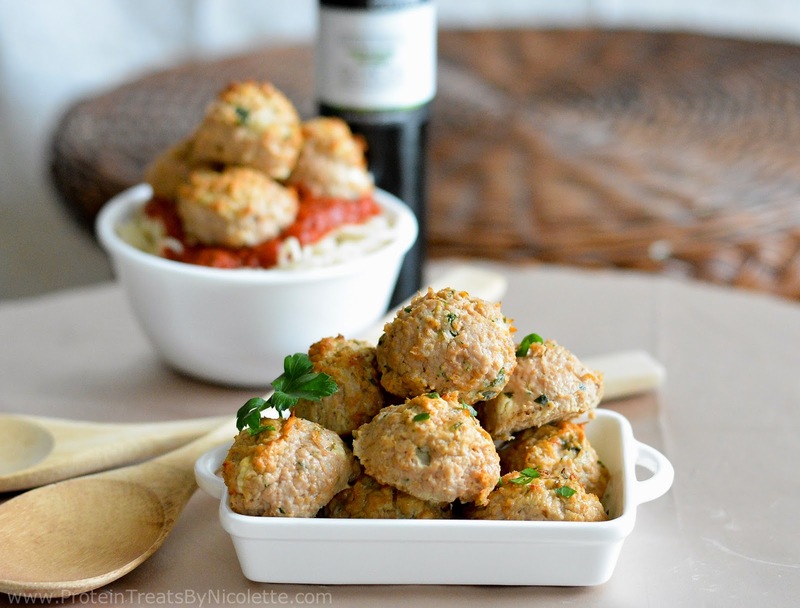 The Tuscan Herb olive oil from Vitacost is delicious and adds a special flavor element to these meatballs. This time, I made some pasta and tomato basil marinara sauce to enjoy with this dish. What will you make? Regardless, I think you will thoroughly enjoy these! 2. Combine all ingredients, except the ground turkey and olive oil, in a large bowl and stir until mixture is well combined. 3. Add the ground turkey to the mixture and, using your hands, gently mix the ingredients until well combined. 4. Take about 3 tablespoons (or use a small ice cream scooper) of meat mixture and roll into a 1½-inch ball. Repeat until 32-34 meatballs are made. 5. 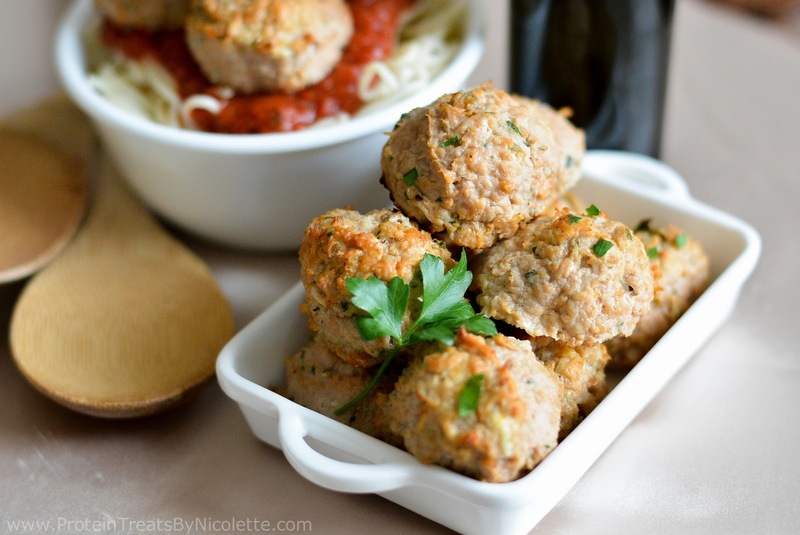 Place meatballs on a non-stick baking sheet and drizzle with Vitacost’s Tuscan herb olive oil. 6. Bake for 18-22 minutes, or internal temperature reaches 165 degrees. Let sit for 10 minutes then serve. * To make your own breadcrumbs, add whole wheat bread of choice to a food processor and pulse until crumbs form. Toast in the oven at 325 degrees F until golden brown. 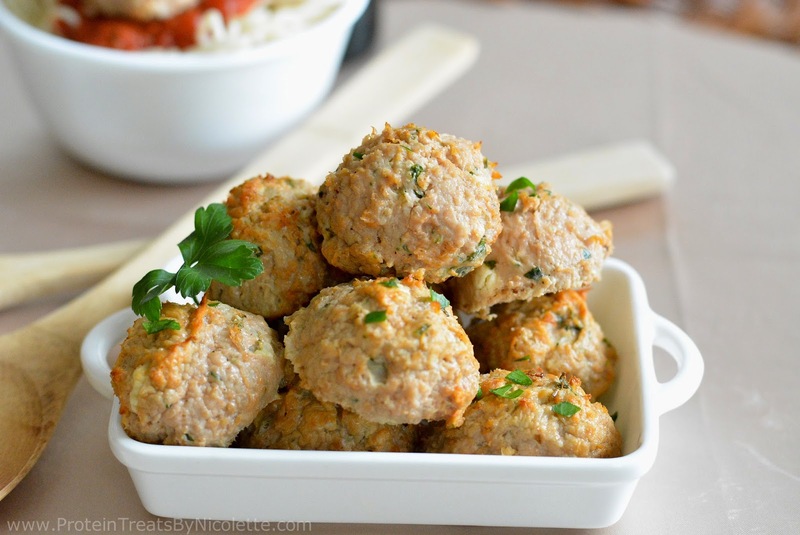 * I ate my meatballs with pasta and Vitacost’s tomato basil marinara sauce. Delicious! I gotta make these for the hubby! !